This thesis re-examines the factors which would have allowed for the possibility of a direct northward trade route between the North African coastal ports and Crete during the Bronze Age. A team of Greek and international divers and archaeologists has retrieved stunning new finds from an ancient Greek ship that sank more than 2,000 years ago off the remote island of Antikythera. The rescued antiquities include tableware, ship components, and a giant bronze spear that would have belonged to a life-sized warrior statue. 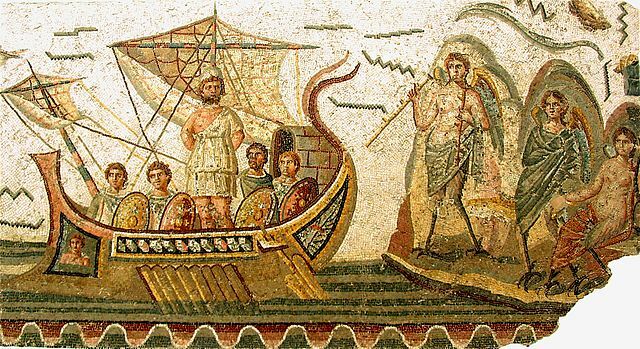 A Roman depiction of a war ship equipped with two catapults? Without doubt, this new representation of a Roman war ship is a welcome enrichment to the very few art works of this class found near the border of the Roman provinces of Germania. Ancient Alexandria was located on the northwestern edge of the Nile Delta, opposite to, and protected by, a relatively large offshore island, the Pharos Island, which had made the area suitable for being utilised as a harbour since the pre-Hellenistic period. In this paper, Egypt is considered in its role as a seafaring nation influencing and interacting with other groups through the perspective of the major tool required: the seagoing ship.